Here at Eat Clean, we fully believe that weekend meal prep is the key to eating healthy – and to stay sane in the kitchen during the busy work week! We love a good meal prep, whether it’s making multiple meals and stocking our fridge/freezer or cutting up some veggies and whipping up a simple dish that will make plenty of leftovers. Spending time in the kitchen to prep, even if it’s as little as 30 minutes, can make a huge difference when it comes to healthy eating habits. In honor of that – and to prepare for awesome healthy habits in the new year (hello, 2019!) – we’re getting back to the basics and sharing our five meal prep essentials for eating clean. Food containers are essential to a solid meal prep routine, for several reasons: they’re the easiest way to store and seal your pre-prepped meals, and they’ll keep food fresh until you’re ready to eat. They’re also a great way to keep your meal portions in check – you can only eat as much as you can fit in each one! We love our 24-oz one compartment containers for storing set food groups like meat or veggies, and our slightly larger two-compartment containers for dividing up dishes with an extra side. They’re BPA free, microwaveable, and dishwasher-safe, which makes the whole thing a breeze! Just pop them in the microwave when you’re ready to eat. 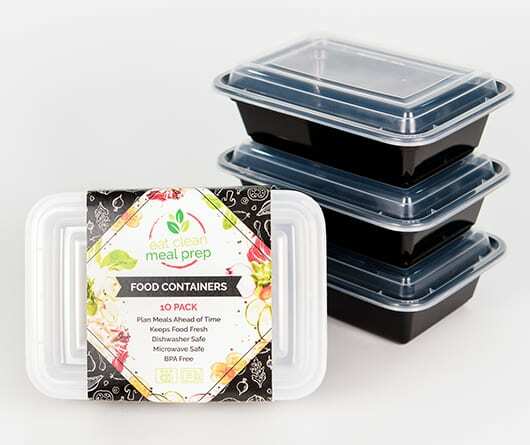 Investing in a bunch of high-quality containers like these will save you a ton of time, money, and unnecessary headaches when you’re prepping your meals. Make meal prep more enjoyable with easy-to-use, quality meal prep containers. 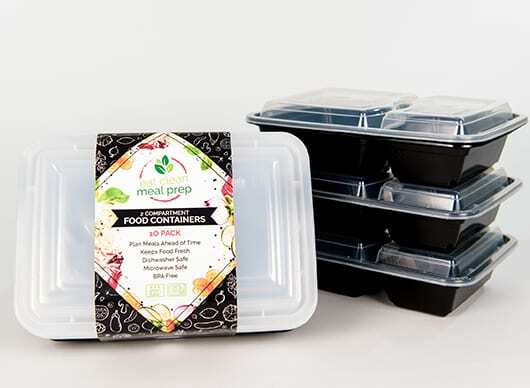 These containers make clean eating easy; they can hold up to 24 ounces, perfect for smaller portion meals or storing set food groups like chicken or veggies. You can cook your food ahead of time and still keep it fresh for days – until you’re ready to chow down on your clean meals. So, you’ve prepped a bunch of healthy, delicious lunches to take to work for the week – now the only problem is transporting them! Investing in an insulated cooler bag is a super easy way to store your meals and have them ready to go for the day. Our cooler bags are large enough to store a full day’s worth of meals and will keep whatever’s in there hot or cold for hours, so you don’t have to worry about your lunch not tasting as fresh as it should. 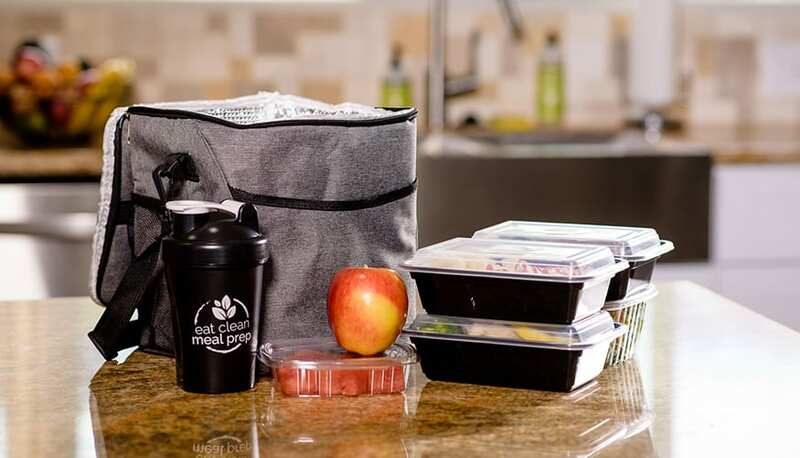 Whether you’re heading to the gym, the office, or traveling for work, a cooler bag will help you stay on track and eating healthy when you’re on the go. Meal prep is all about taking control of your nutrition, and great food storage habits are a great place to start. Take meals on-the-go with this convenient Lunch Cooler Bag. This makes it is easy to eat clean, even when you’re out and about. 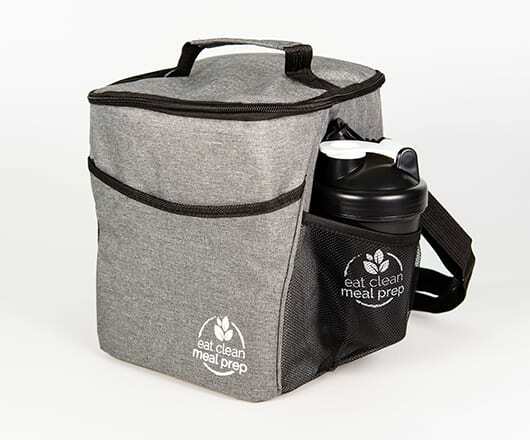 With dimensions of 14”x 15”x 6”, this cooler bag is large enough to store a day’s worth of meals and will keep that food cold or hot for hours. This bag is made with high-quality canvas; thanks to the beautiful gray and black textured exterior, it stands out from other generic bags. Spices: the most common ones for cooking are basil, cumin, ginger, oregano, rosemary, paprika, bay leaf, and chili powder. It’s always a good idea to have plenty on hand! This list is completely customizable, and should be based on what you plan on cooking the most! Think about your favorite dishes and their ingredients, and start listing items from there. Perfect for larger meals, our two-compartment meal prep containers can hold up to 30 ounces worth of food. That’s enough space for an entrée of grilled chicken and a side of veggies and brown rice. The two-compartment design also keeps your food separated, so your entrée doesn’t sit in broccoli juice or vice-versa! These containers are essential for storing food in your fridge or freezer and can be reheated in the microwave. Making sure you have all of these at the ready will make meal prepping so much easier. Food processors do everything that knives do – only better, faster, and more efficiently, especially when it has an optional shredding or slicing blade. Chop up a bunch of onions, carrots, and squash for your next sheet pan dinner, or shred Brussels sprouts or cabbage for the perfect lunchtime salad. Food processors are also great for making your own snacks, like trail mix and hummus, as well as salad dressing and other condiments. It will cut your meal prep time down by half, depending on how much chopping you usually do! A food processor is definitely a must-have for faster meal prep. 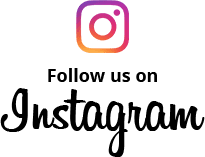 Enter your email to get the latest updates and offers from Eat Clean Meal prep sent directly to your inbox!